Technology systems used daily across hospitals, GP surgeries, care homes, pharmacies and community care facilities don’t talk to each other, fail frequently and don’t follow modern cyber security practices. To improve this situation, in October 2018, Matt Hancock, Secretary of State for Health and Social Care, set out his vision for ‘The Future of Healthcare’ in the UK. A truly joined-up health and care, designed around the needs of patients and their care networks, where we integrate physical and digital services, and achieve better, safer, more targeted care. A safe and secure data infrastructure that protects the health and care system and patients. Helping local organisations to make the right technology choices for their own area, while also maintaining high quality systems that can communicate across the entire NHS. Working with colleagues across the health care spectrum, NHS Digital has produced a draft NHS Digital, Data and Technology Standards Framework. This shows how these standards will enable the NHS to use modern technology to meet these goals. The framework provides a high-level overview of the standards involved, which is underpinned by several specifications offering more details. The first draft document to be produced is the Clinical Information Standards specification. This describes how clinical terminology and classifications standards will support the delivery and management of health and care services. The input of health and care professionals and its suppliers is essential for ensuring the framework is successful. To encourage collaboration and discussions about potential improvements, NHS Digital are using Kahootz to involve their many domestic and international stakeholders. The cloud collaboration platform, which is already used by tens of thousands of users across the NHS, is giving people the opportunity to express their views on the framework, the standards identified, the challenges of implementation and opportunities for enabling and supporting adoption. Senior NHS stakeholders such as CIOs, CCIOs and Chief Executives can comment on and discuss the specifications in confidence, via a secure and private online workspace. In addition, Kahootz is hosting a public forum for anonymous (but publicly visible,) comments on the documents. This allows people to see what other respondents are thinking, which is helping to stimulate new discussions and ideas. John Glover, Sales and Marketing Director at Kahootz, said: “As a company that’s been working closely with the NHS since 2014, we’re fully aware of the IT challenges the health care industry are facing. 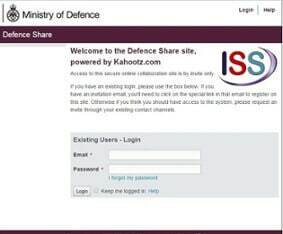 Want to find out more about NHS England’s use of Kahootz? Download this guide to discover why our software is expected to achieve a 150% ROI for them over the next two years.